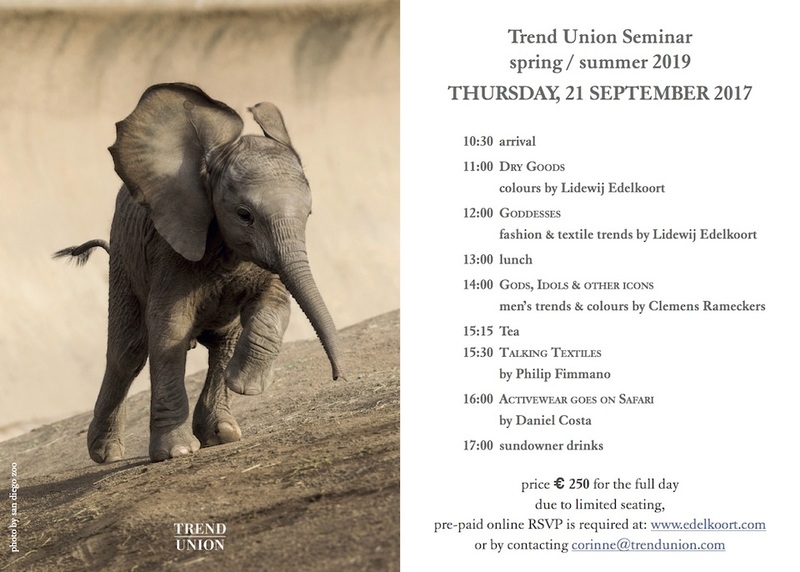 For the first time Trend Union is hosting a complete seminar for our foreign clients and far away friends. Since you are already in Paris you are invited to be with us in our offices for a full day of inspiration and creativity. We will share insights in colour, explain new female archetypes, express male magic, highlight textiles and go on safari to understand the new active wear trends.This complete emerging in matters of strategy, beauty, retail and design will be like a roller coaster experience of creativity. Please join us for the first ever Premiere Vision seminar in our studio on 30 Bld Saint Jacques in Paris. Barnabé Fillion has created ‘Feitiço’, the most fetishistic of fragrances for international trend forecaster Lidewij Edelkoort. 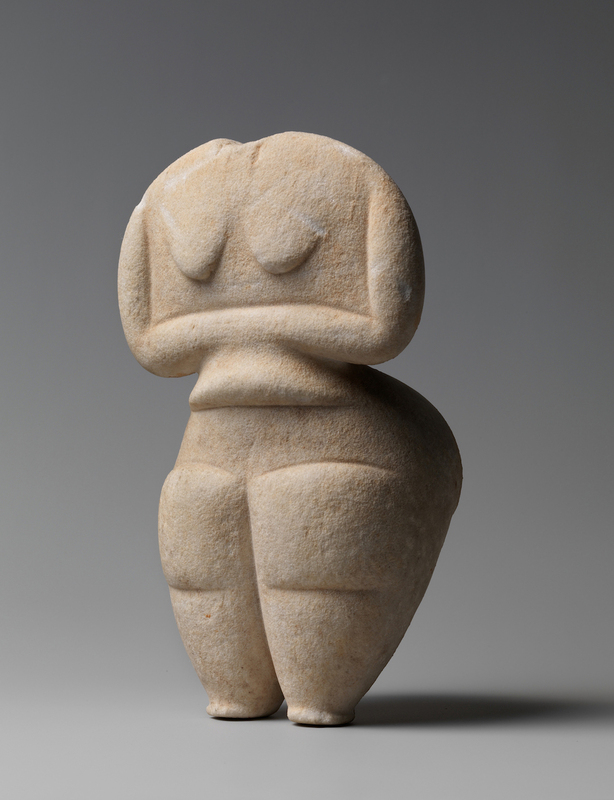 Inspired by the connection between the sensual and the shamanic, this primal new scent possesses smoothly-rounded notes that appeal to the instincts of both man and woman. Body care and baths, favorite soaps, creams, lotions, fabrics and fragrances are an essential part of the gentleman’s privacy. They are the building blocks of his identity. They give him pleasure, comfort and self-confidence. They titillate his senses, the sensitive nose, most of all. 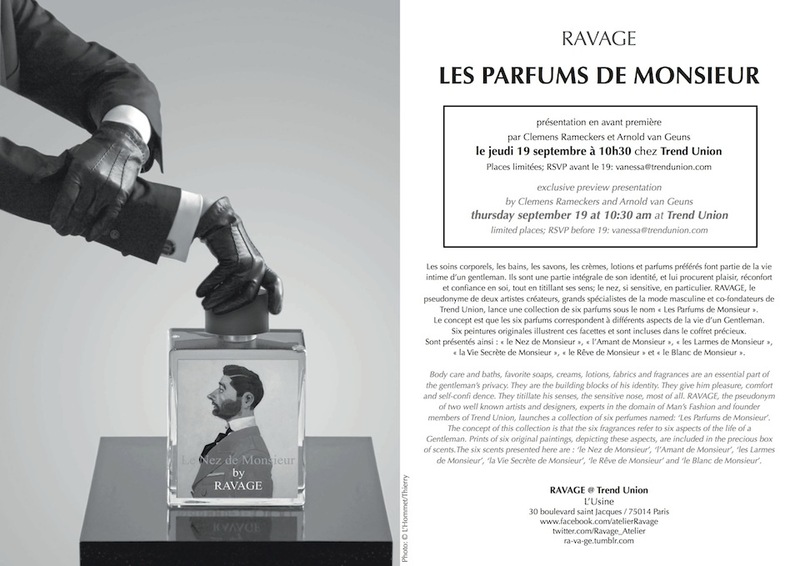 RAVAGE, the pseudonym of two well known artists and designers, experts in the domain of Man’s Fashion and founder members of Trend Union, launches a collection of six perfumes named: ‘Les Parfums de Monsieur’. The concept of this collection is that the six fragrances refer to six aspects of the life of a Gentleman. Prints of six original paintings, depicting these aspects, are included in the precious box of scents.The six scents presented here are : ‘le Nez de Monsieur’, ‘l’Amant de Monsieur’, ‘les Larmes de Monsieur’, ‘la Vie Secrète de Monsieur’, ‘le Rêve de Monsieur’ and ‘le Blanc de Monsieur’. 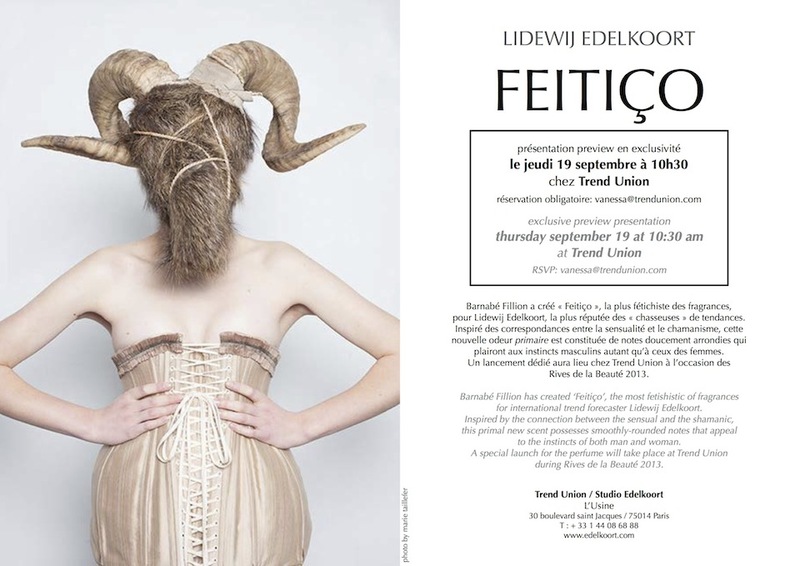 A special launch for the perfume ‘Fetiço’ will take place at Trend Union during Rives de la Beauté 2013. 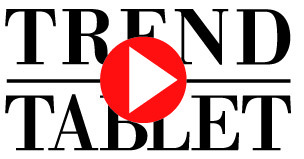 An exclusive preview presentation for ‘Les Parfums de Monsieur’will be at Trend Union on thursday september 19 at 10:30 am. For five days, the city of Paris will host Rives de la Beauté, the event that gives beauty players (brands, retailers, distributors and others involved in the industry) the chance to express their creativity through an astonishing array of aesthetic, artistic, sensorial and inspiring experiences. "In an unstitched society suffering from a long lasting crisis that has made humans ferociously protective and arrogantly egocentric, it is time for mending and gathering, restoring the fabric of society, picking up the pieces and bringing them together in a patchwork of possibilities, a quilt of substance, able to absorb shock." 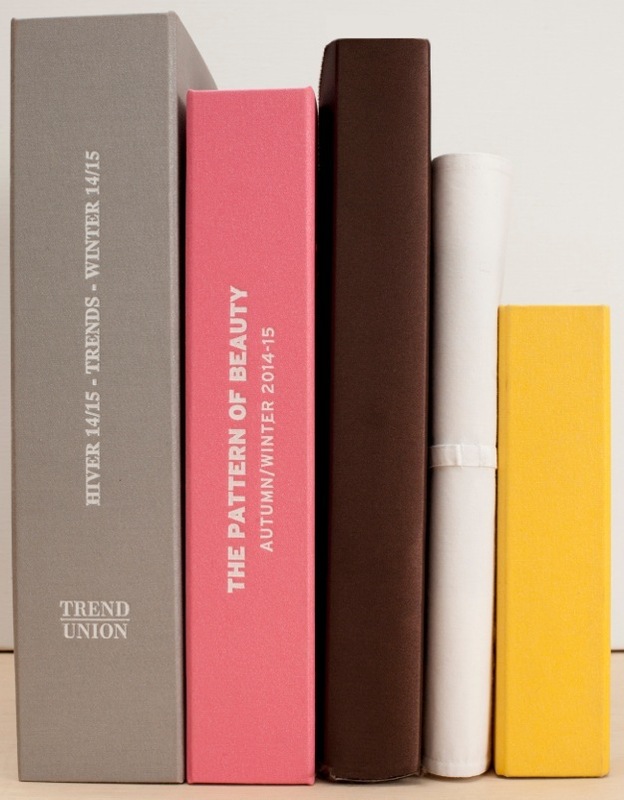 The trend books describe the trends in colours, fabrics, shapes and styles according to the most cutting-edge consumer attitudes identified by the Trend Union team. The forecasts are handmade, published in limited quantity and distributed worldwide. PREVIEW Three months prior to the Colour and the General Trends Forecast, a presentation of the colours and fabrics for the new season is provided in a portfolio, including by theme, visuals, colour range, fabric samples, texts and key words. A very practical tool for industries which need early information such as spinners and yarn producers. It is published twice a year: in july for the spring/summer season and in december for the autumn/winter season. GENERAL TRENDS FORECAST This book presents a global, however precise, view of the season to come from the evolutionary standpoint of society, the market, and the implications therein, in terms of colours, fabrics, and visuals. It is accompanied by texts and key words. PATTERN BOOK This portfolio defines motifs and colours for coming seasons through visuals, colour ranges, and fabric samples. THE KEY This book sets forth the key shapes, forms, and details for the clothing industry. It is composed of silhouettes and details, colour ranges, fabric samples, and key words. THE COLOUR FORECAST The Colour Card is a large fabric edition of the season’s colours, complete with a trend booklet of colour harmonies and scissors with which to cut and develop personal colour cards. All colours are dyed especially for and at the request of Trend Union. Additional swatches per colour can be ordered. MEN’S COLOUR FORECAST This book is dedicated to the men’s fashion industry presenting ambiances of the season and colour ranges. LIFESTYLE FORECASTING BOOK A complete insight into the future of interiors. This book presents the newest trends in the field of interiors, design, furniture, and decoration. ARCHITECTURE BOOK A vision on the future of architecture with inspirations in terms of space, construction, and materials.